​Welcome to Crystal Earth Magic! ​I'm so glad you landed here! There are no coincidences in life--only beautiful synchronicities! Crystal Earth Magic is dedicated to Holistic Health, Education and Empowerment. 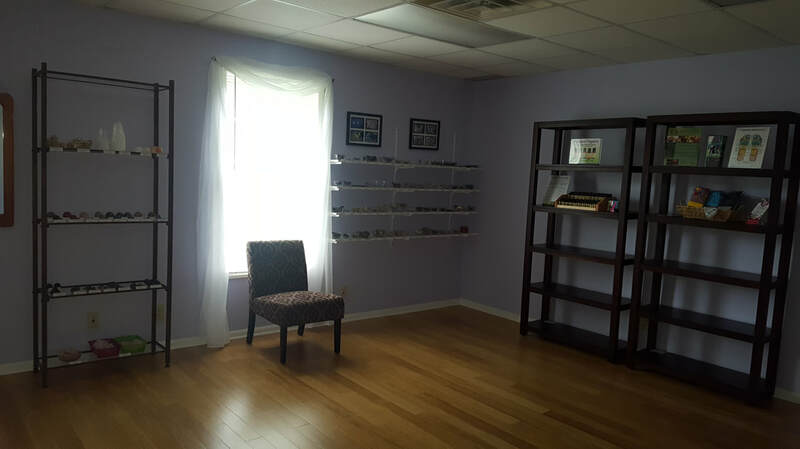 I offer intuitive healing and reading services. 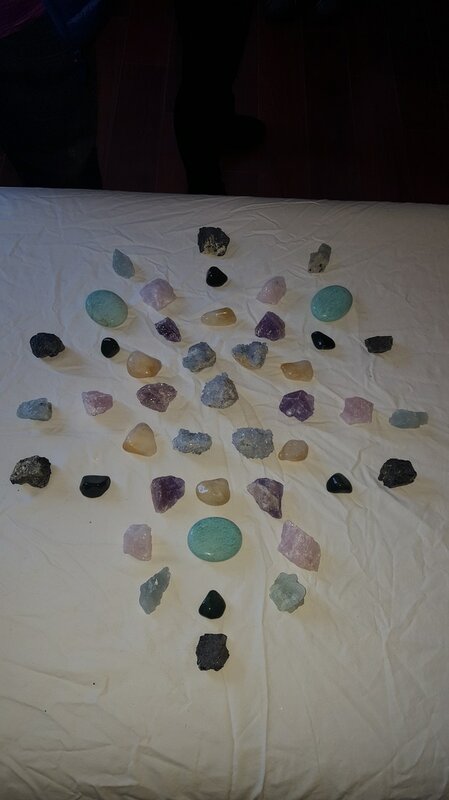 I work with your spiritual entourage as well as my own to provide a unique, custom-made session to address your own particular needs. I use any and all modalities available to me based on the guidance I receive during the session. 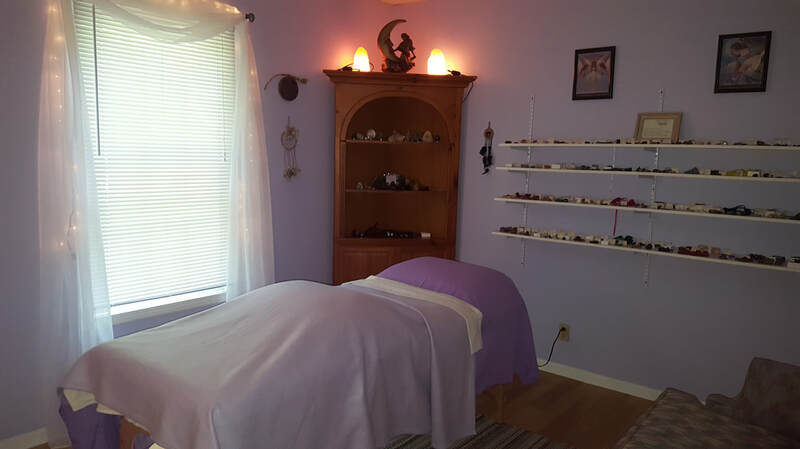 Healing services may include any or all of the following: Reiki, Crystal Therapy, Shamanic Practice, Angel Therapy, Chakra Clearing and Balancing, Crystal Grids, Sacred Geometry, Energy work, Sound Healing, DNA Activation, Meditation,and more. Reading sessions are also conducted on an intuitive basis using a variety of oracle cards. No two sessions are ever alike! I invite you to learn more about me, how I work, and how I can be of service to you. Education is imperative to empowerment! 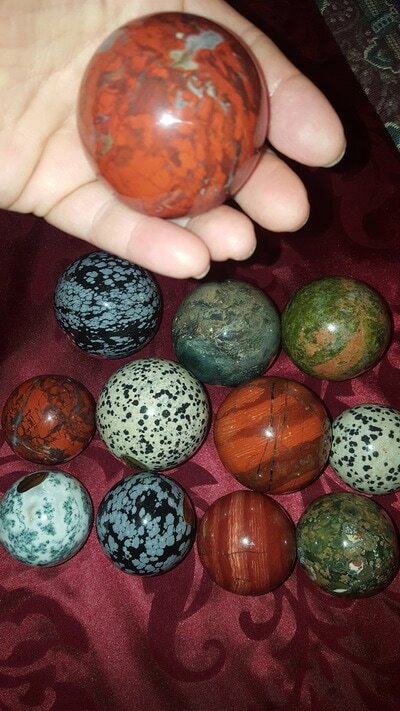 At Crystal Earth Magic, I offer a wide variety of classes and events. 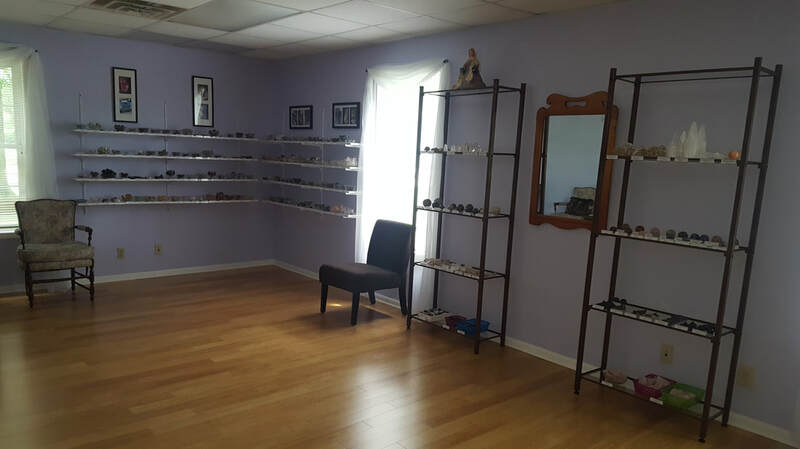 These include Reiki classes, Crystal classes, Crystal Grid workshops, Earth Healing classes, Intuition classes, online courses for those who can't attend in person, and more. 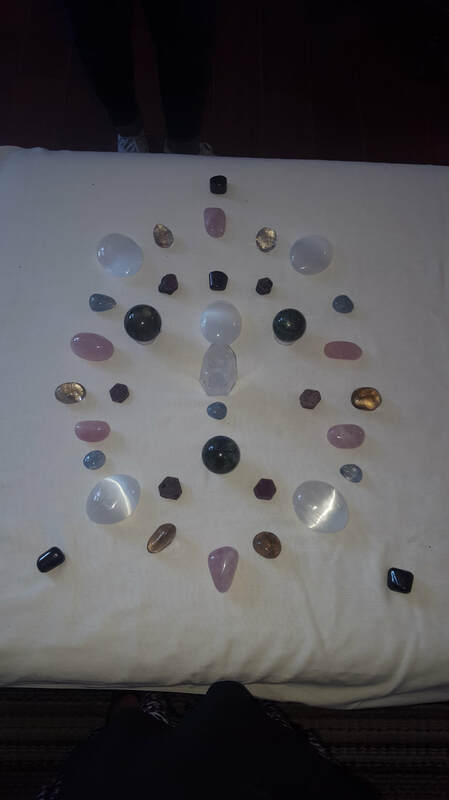 I also offer Starseed / Stargate Channeling group experiences. 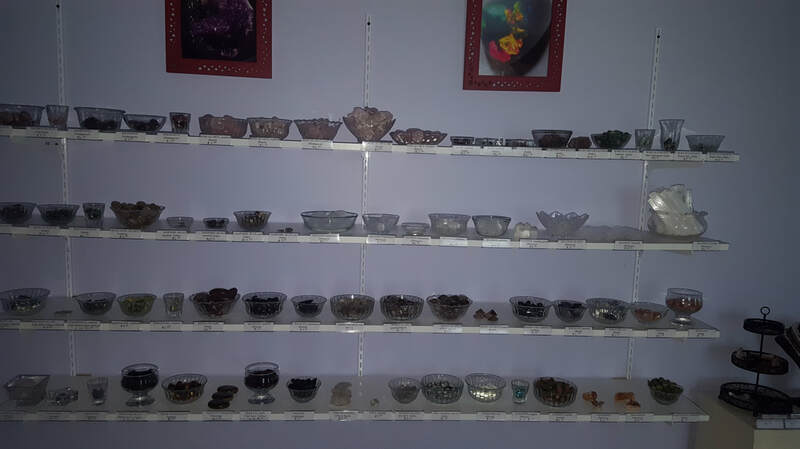 Coming in January 2018 is my new Certified Crystal Therapy Training Program! I invite you to see the Classes / Events calendar to see what is currently upcoming. Most classes are now available for secure online pay. New classes and events are frequently offered, so sign up for the newsletter to keep informed on the latest offerings. 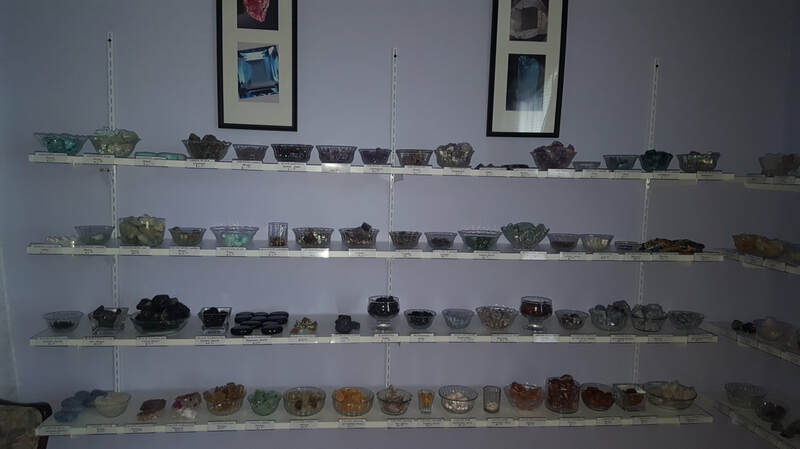 I also retail over 400 different kinds of crystals and stones from all over the world! 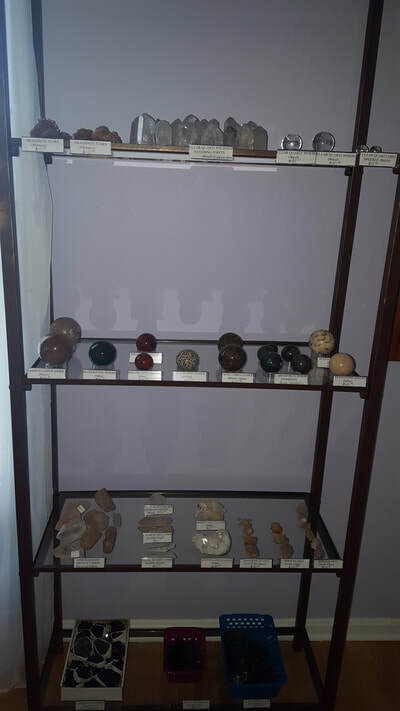 These include spheres, wands, specimen pieces, pendulums, and angel products. The selection is truly amazing and changes frequently. 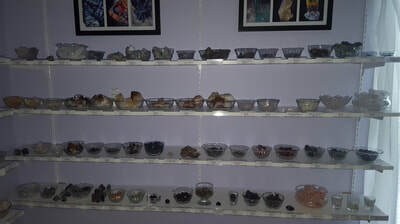 See my crystal catalog for more information about the kind of things I have in stock. There is also a guide with crystal properties of the stones I carry. Please note that I do not do mail order! I carry a lot of different items in small amounts, and cater to my clients, students and local retail customers. 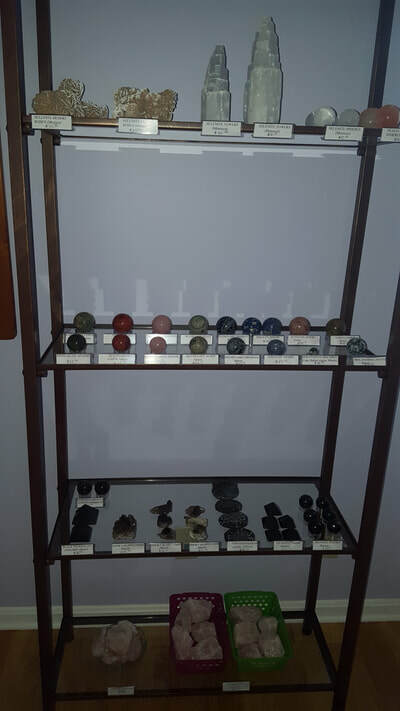 At Crystal Earth Magic, I am the owner and sole practitioner, so you will always get personal, professional service. I am open by appointment for sessions as well as retail. Since it is just me, an appointment assures that you are not waiting for retail while I am busy with other clients. 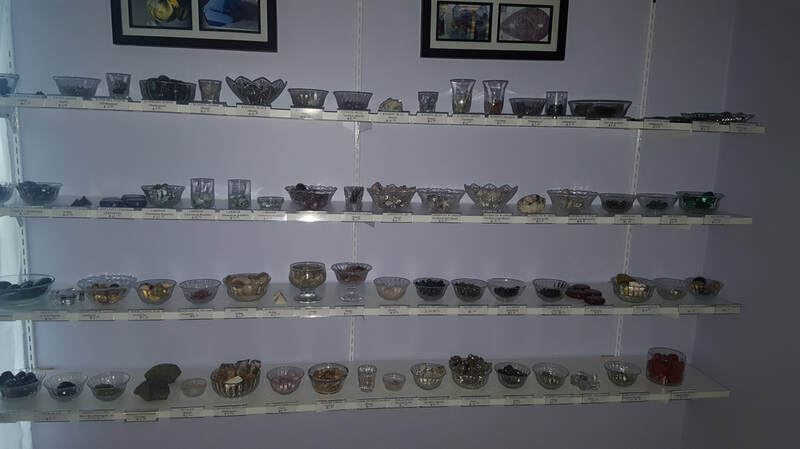 It also ensures personalized service with regard to crystal choice and use. Please contact me to book a session, sign up for a class or event, schedule a retail appointment, or with any questions you may have. I look forward to being of service to you! ​"This is without a doubt my favorite place to be. It is a warm, inviting, energetic space. Lori is so open, informative, unique and loving. I have learned much and grown and I look forward to continuing on my path." "Lori is a wonderful example of what everyone should be. Open, loving, inspirational. 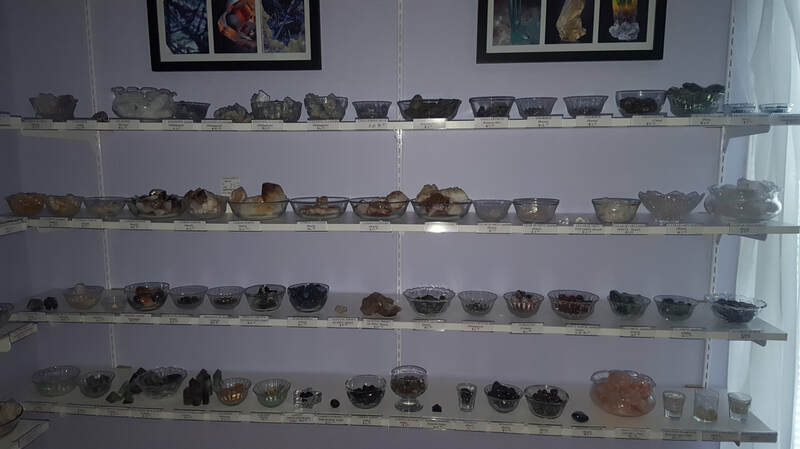 I found Lori when she first opened Crystal Earth Magic. I have learned, grown and have been blessed. Thank you Lori for all that you do!" "Thank you, Lori! My session was exactly what I needed! I am still feeling the positive effects of the experience :) Looking forward to working with you again!!" "Lori is an amazing human being. I was in the dark and she has shown me light. A great teacher. A great listener. Beautiful studio to learn, hope and grow. Thank you." 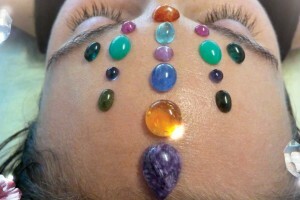 "Lori is an angel on Earth... Full of light & positive healing energy! I knew from the minute we met she was something special. 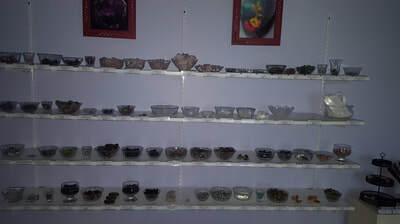 Her shop is amazing too!!" "Just had to say thank you again for my healing session. Last night was the first time since my accident that I didn't wake up multiple times a night with horrible pain from my hands, arms, feet, or legs being asleep. Also noticing a huge difference in my general soreness and pain as well just feeling more "light and open". Can't wait for my next session! :)"
"Lori is an exceptional healer and a great teacher. She is definitely on the path that she has chosen in this lifetime. Anyone who takes the time to see her benefits greatly. Treat yourself to a visit and enjoy!" 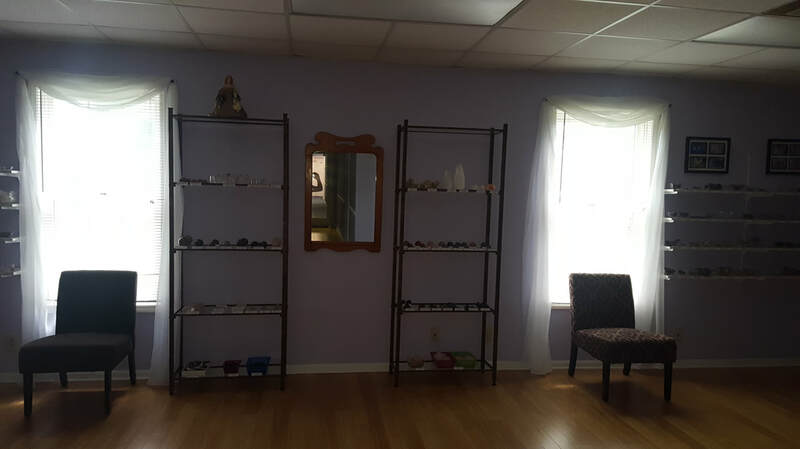 "I love this place and Lori...the good vibes & energy encompass you as soon as you walk thru the door." "Lori is such an amazing teacher. Her compassion for people and warm heart makes any session with her both enjoyable and one that you will take away many tools to help you in this life. 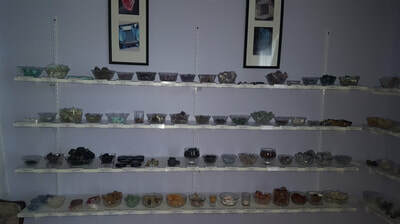 Her store is amazing." "Very pleased to have met Lori amazing person! Happy she is my teacher and friend ! Thank you Lori !!! You ROCK !! !✌️"
​"Lori is an excellent teacher. She teaches in a way that reaches you at whatever level you are on. 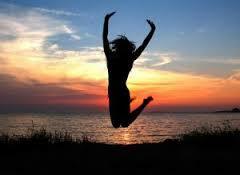 Her energy and enthusiasm are boundless!" "So much to learn and this is just the place to expand ...thank you for opening for us this afternoon, beautiful collection of metaphysical stones and great conversation! Look forward to joining a series of classes very soon..."